"Women need more seats at the table," Sheryl Sandberg, CEO of Facebook said in her best-selling book Lean In. One of the reasons more women are not at the corporate board table is that women do not have as many female role models and female mentors. Mentors and role models enable women to see what is possible through their eyes, their gender, and their experiences. Women who have made it also need to be committed to paying it forward. Each woman is asked to bring a bound journal as a gift for their assigned Club member. Inside the journal, she should write a note of encouragement or a quote that is inspirational. Please have a simple ribbon around the journal to wrap as a gift. Each table seats four Club members and four adult guest. The event is at capacity at 80 total. 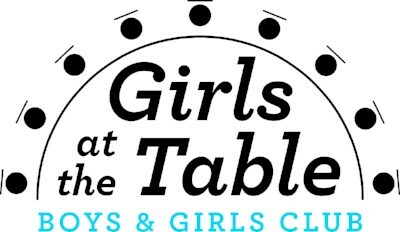 At the Luncheon, you will be seated next to a female Boys & Girls Club Member who is participating in the SMARTGirls Program. The SMARTGirls Program offers guidance toward healthy attitudes and lifestyles, eating right, staying fit, getting good health care, and more. Encouraging young women to have healthy attitudes and lifestyles, SMARTGirls helps them reach their full potential. Through dynamic sessions, group activities, field trips, and mentoring opportunities with adult women, Club girls enjoy the opportunity to build skills for eating right, staying physically fit, getting good health care, and developing relationships.